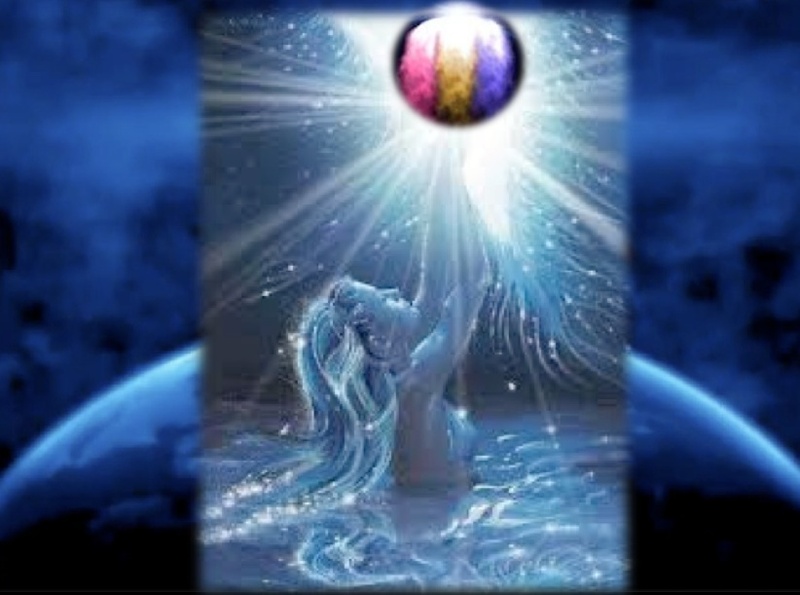 We, the Arcturians, would like to communicate with our grounded, Earth Crew about creating third dimensional groups based on active, shared, intentions. We are aware that this task is quite simple within a fifth dimensional environment, but it can be very challenging within the environment of third/fourth dimensional Earth. First we will begin with the word “intention.” We will begin by describing the manner in which “an intention” and “Light Language” are the same. Neither intention nor Light Language can be viewed by your physical perception. Both your intentions, as well as Light Language, can be only sensed with your higher fourth and fifth dimensional perceptions. We will begin by giving you third dimensional definitions of “intention,” which are: purpose, aim, intent, goal, objective, and/or plan. All of your “planned intentions” often stay within your thoughts and emotions for a very long time before they become manifest in your daily life. When you do not actively fulfill your own inner “intentions,” you may feel disappointed in your self. Some of you may also judge your self harshly for not filling the intentions that others have of you. “Who is the boss of my life?” you may find yourself asking. This question, and mostly the answering of this question, is a very important component of your ascension process. We wish to highlight “YOUR” ascension process, as no one can really copy or follow another person’s ascension process. Living your ascension process means that you have placed your self in the driver’s seat. However, this “driver’s seat” is a “multidimensional seat,” in which EVERY expression of your Multidimensional SELF must be consciously, and actively, at the wheel. It is helpful and wonderful to use your “Unity Consciousness” to follow, lead, and share your journey with others. In fact, sharing your intentions with others who are also wearing earth vessels, is very empowering. That is, it is empowering if you have similar intentions and similar amounts of energy that you are willing to put into your personal, and/or joint, intentions. If you have the same intention as others in your group, but the “others” are NOT actively fulfilling that intention, your energy field will not be synchronized with those people/or with that group. When the members of a group differ too much with the amount of personal and multidimensional energy that they wish to contribute to that group endeavor, the group energy field will collapse into “the bosses” and “the employees.” In this case, the bosses will tell the employees what to do. However, when you have an “Active Intention group,” there are NO “leaders” and NO “followers.” Instead, there is a group of people, in which each person has a strong sense of security about what their contribution is and how their contribution will fit into the group experience. Strong group energy fields are actually created in the higher dimensions of reality. In other words, the group may have been initiated on Earth because they were all from the same Ship, and/or the same higher dimensional version of Gaia. Also, the group may have known each other in other incarnations and seem to “instantly recognize each other” in their physical life. Some times, strong groups are initiated in a higher dimension of reality. In fact, within this NOW when Gaia is constantly sending her SOS into the higher dimensions, groups of friends and/or comrades, sometimes even family members, are volunteering to take incarnations within the same 3D time and place. However, due to the urgency of the assistance for Gaia’s planet EARTH, the time it takes for infants to grow to adults, and for all the members of the group to remember their pre-birth contract, is not a reliable means of gathering a strong multidimensional energy field. It’s primarily for the above reason that groups that gathered on the fifth dimensional Ship or Homeworld consciously, or unconsciously, meet on third dimensional Earth and quickly decide to join into a group. The members of that group may often say, “You seem so familiar. Do I know you?” Then the other person may remember that person from the ship, or not remember them. If they do remember, they are faced with the difficult decision of whether or not they want to “take the risk” to tell them what they remember. Therefore, we the Arcturians, recommend that you look at that person’s aura to see if it extends beyond the top of their head, then seems to disappear into the higher dimensions. That person may need a few days to decide if they are ready to admit to their true self while they are wearing an earth vessel. We say, “wearing an earth vessel,” as they (and likely you) are wearing a third/fourth dimensional vessel, which encases their true Lightbody SELF. Their Lightbody SELF is usually hidden within core of the “human” spinal column. Of course, because the Lightbody resonates to the frequency of the fifth dimension, it can only be perceived by fifth dimensional perceptions and/or fifth dimensional equipment. The sudden call into Active Duty can be quite challenging, as many of them have forgotten their true, multidimensional nature. It can be very challenging for one to totally change their “sense of self” into a greatly expanded version of what they have known throughout that entire incarnation. The multidimensional ones, who take an earth vessel at birth, rather than “walking in” later, have the greatest challenge. It is for that reason that many of our “volunteers” choose to experience what is called on Earth a “Near Death Experience.” What occurs during a Near Death Experience is that the “dying one” meets their Multidimensional SELF. To make that re-adjustment of “sense of self” these volunteers often have dreams about UFO’s landing or actually perceive a UFO with their 3D vision. Hopefully, the “newly awakened,” as they often call themselves, wisely seek out information so that they can better understand what is happening to them. We, the Arcturians, have spoken many times about the “lost ones,” “the dark ones,” and/or the “Illuminati.” What these titles have in common is that they represent those who do NOT want Gaia to ascend into Her fifth dimensional expression. Why would they NOT want to live within the Unconditional Love and Multidimensional Light of a fifth dimensional reality? There is not one answer to that question, but the sweeping answer is that this is the group of beings that do NOT have a Lightbody within the base of their spinal cord awaiting its FLASH into the glory and peace of the fifth dimension. They know that they will NOT return to their innate Lightbody because they SOLD it. No, they did not sell their Lightbody at a store or garage sale. But the Lightbody is a living being that needs to be fed like all living beings. The Illuminati did not sell their Lightbody, but they did sell their “Service to OTHERS” so that they could gain power over others. The Illuminati threw away their Service to Others, so they could focus on their Service to Self. When they lived ONLY by “Service to Self,” they lost ALL connection with the Unconditional Love, Violet Fire, and Multidimensional Light that resonates to the fifth dimension and beyond. Therefore, the lost ones could NOT even perceive these higher powers, much less be able to steal them. An interesting development is that some of the children of the Illuminati have seen how “energy out equals energy back.” They have not learned compassion, parental love, or service to others. And, most of them are NOT from the Higher Dimension. Therefore, we ask you not to blame all the Illuminati, as some of them are higher beings that took the great challenge of infusing their light into the darkness. We remind all of you that you can assist them by sending them Violet Fire to assist them. This Violet Fire will serve to transmute the darkness into light. We ask that you, also, send Unconditional Love for those who have given the great sacrifice of living in the darkness in order to transmute it into Light. Your High Heart will know who is who, as the High Heart cannot lie. When you go into your own High Heart you gain great protection and immense healing. As you open your High Heart, you will also find your ATMA, which is just above your High Heart. Your ATMA holds your first 8 cells, as well as your Three Fold Flame of “Infinite Wisdom, Multidimensional Power, and Unconditional Love.” With your Active Intention, please go inside your High Heart to activate your own Wisdom, Power, and Love. We, the Arcturians, will assist you if you call us!